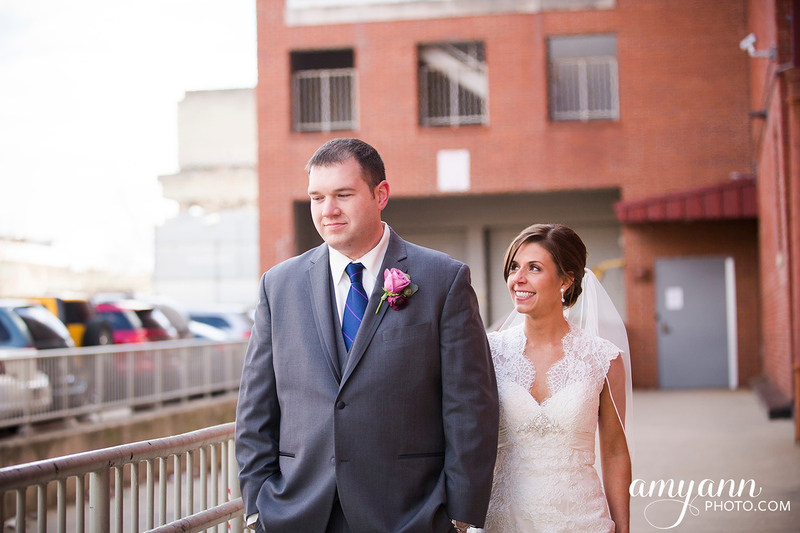 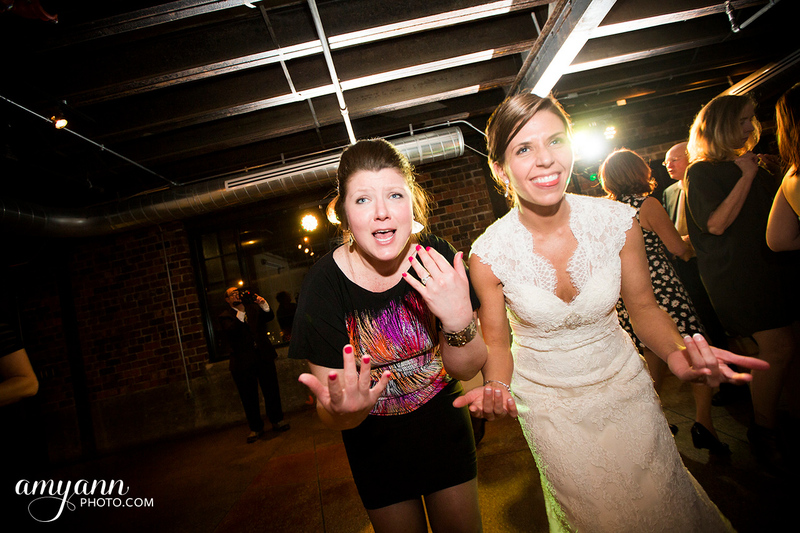 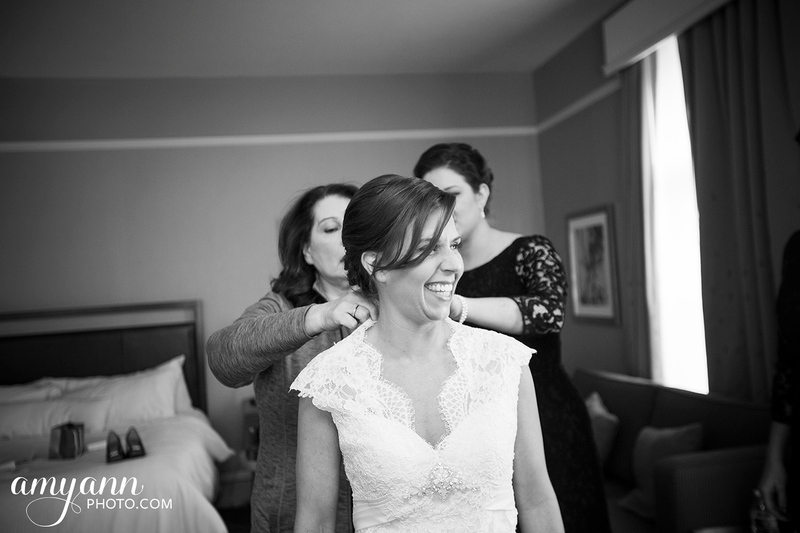 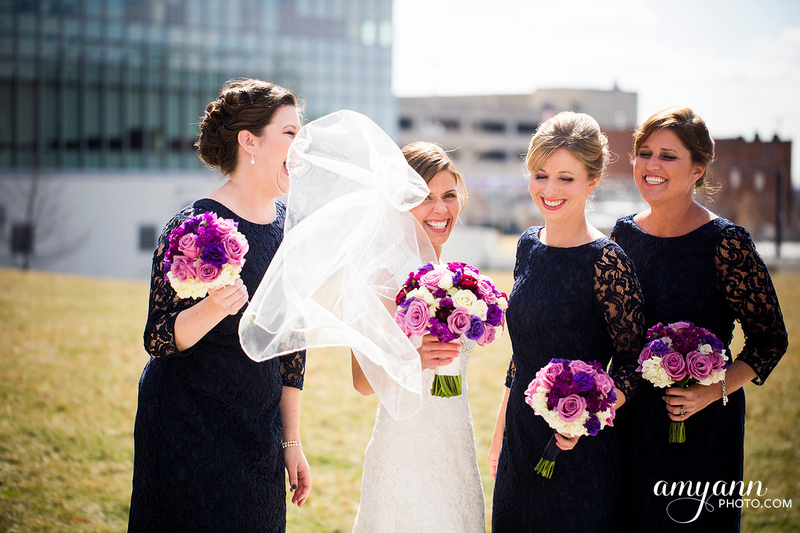 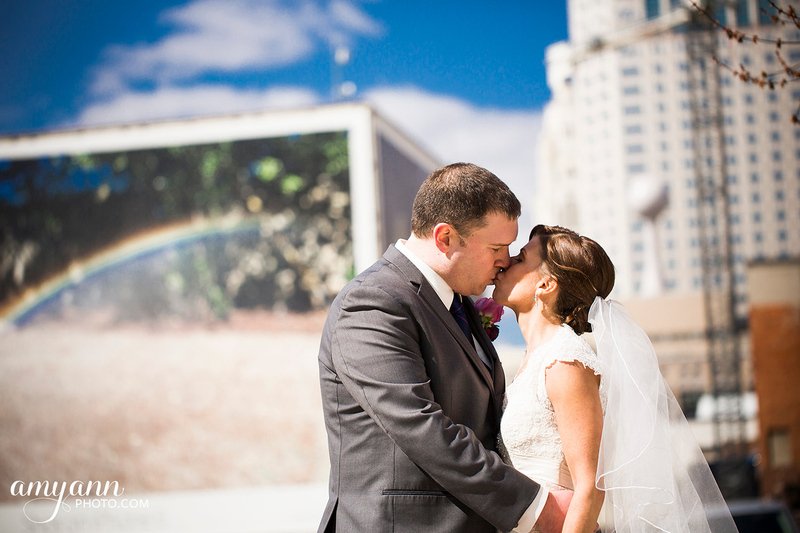 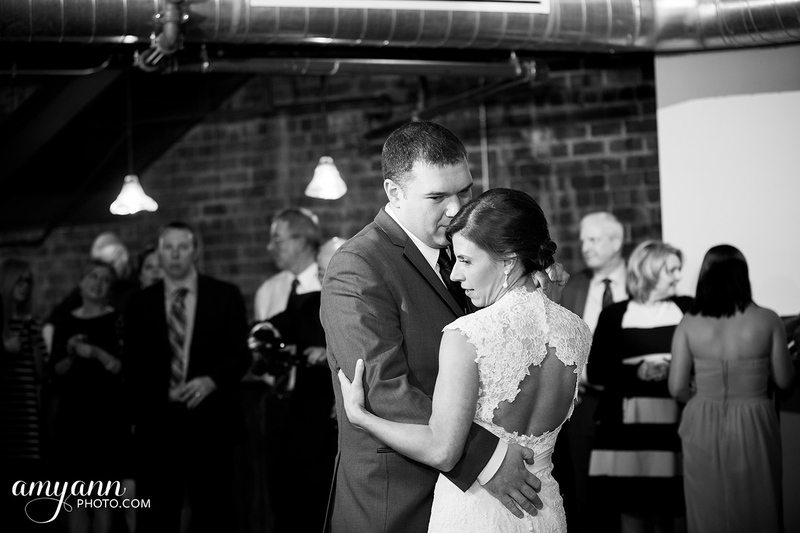 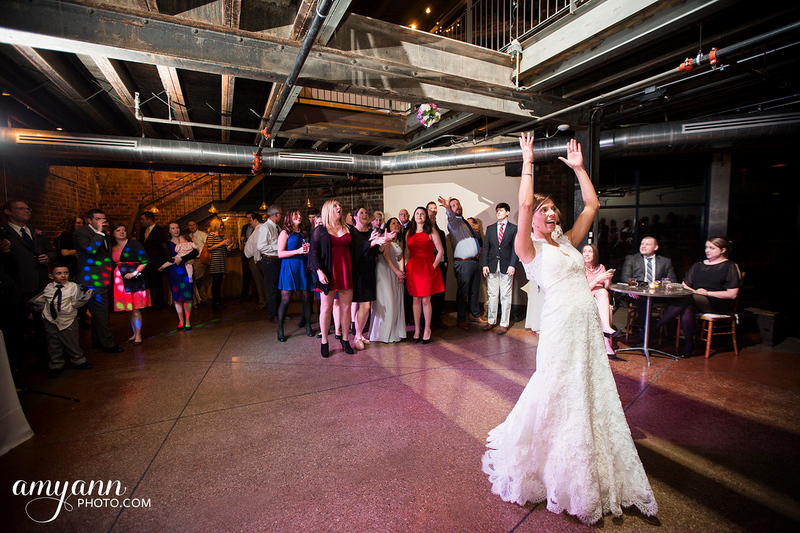 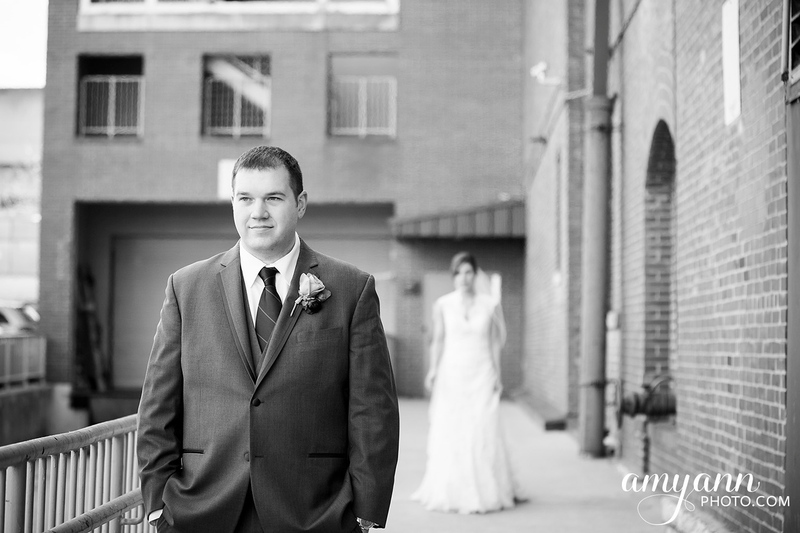 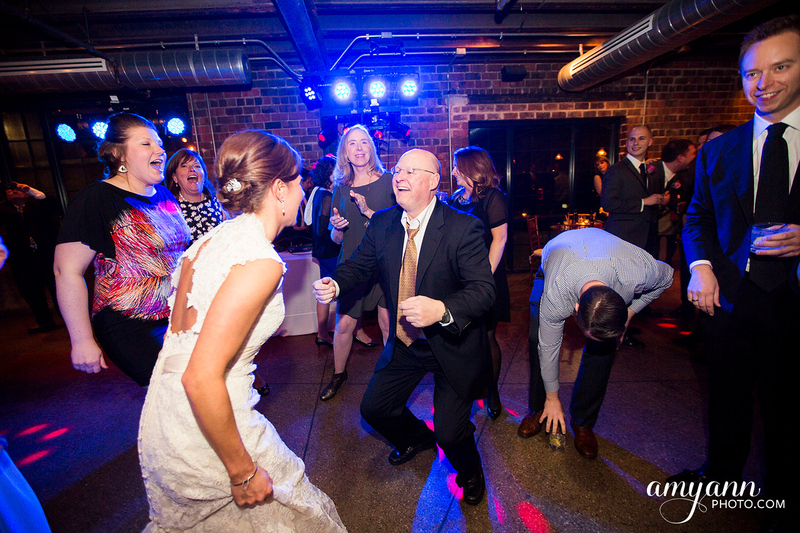 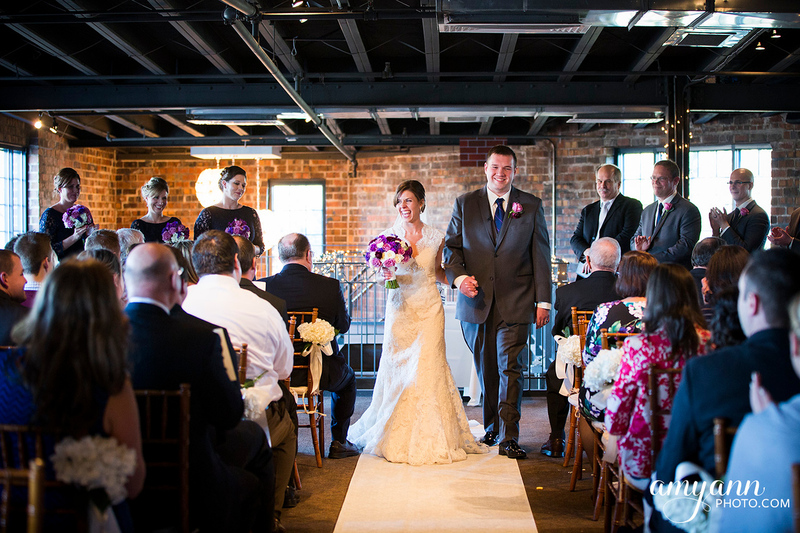 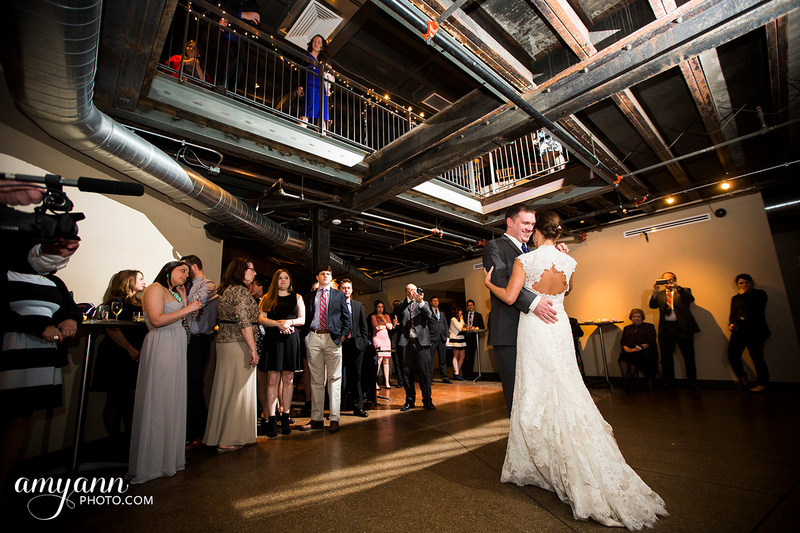 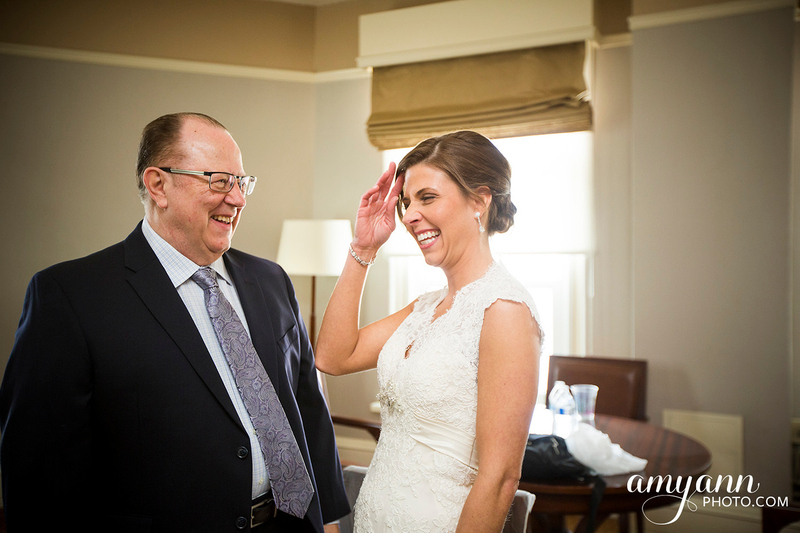 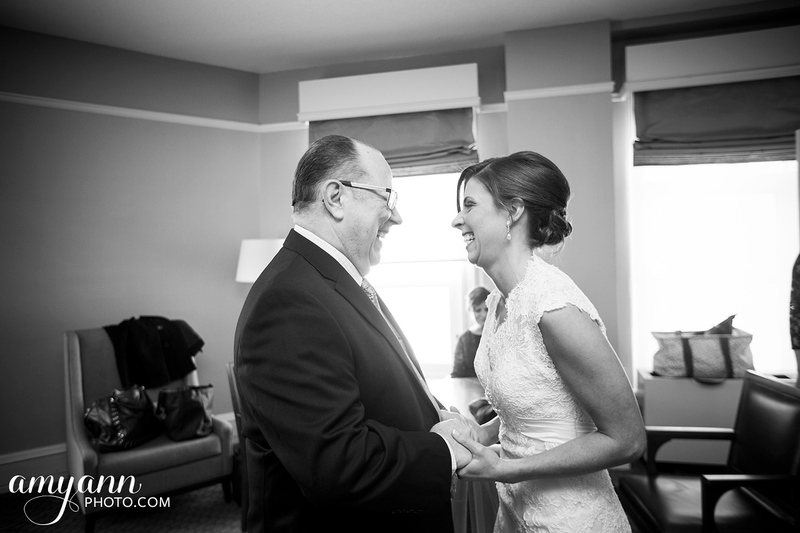 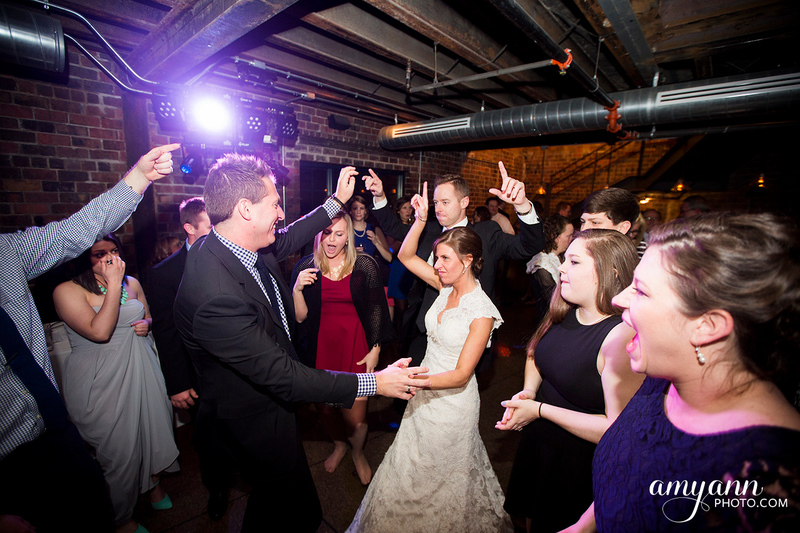 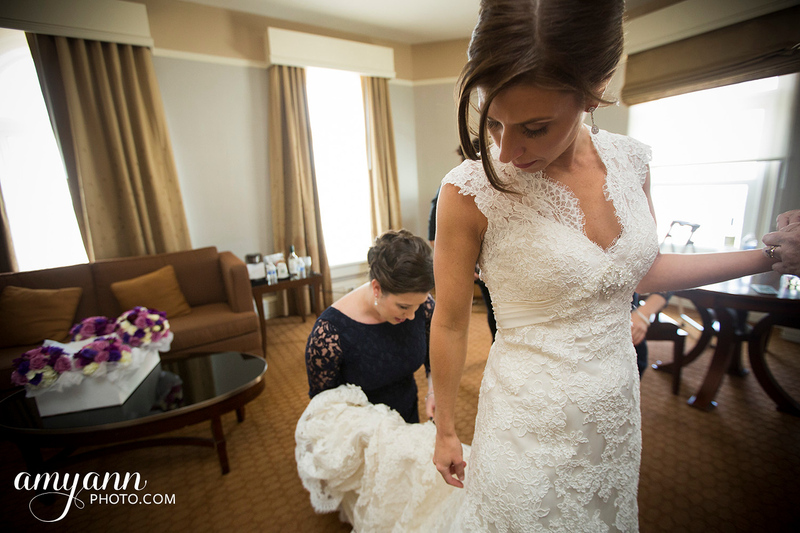 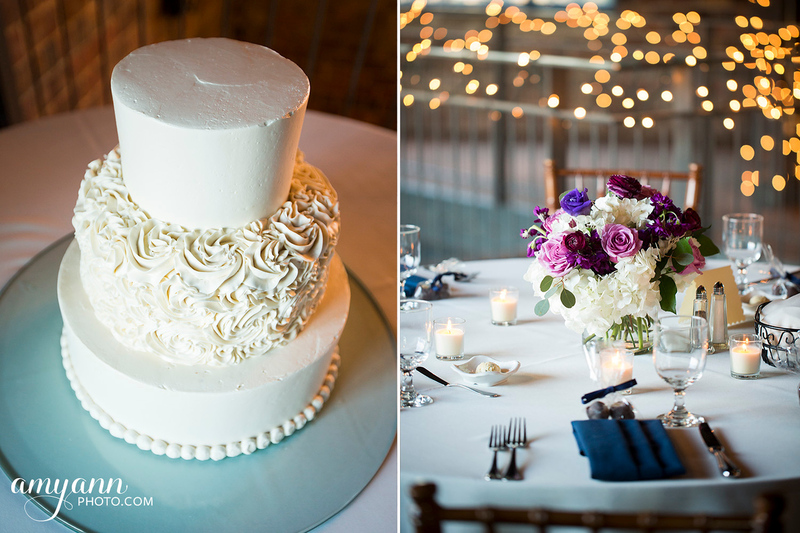 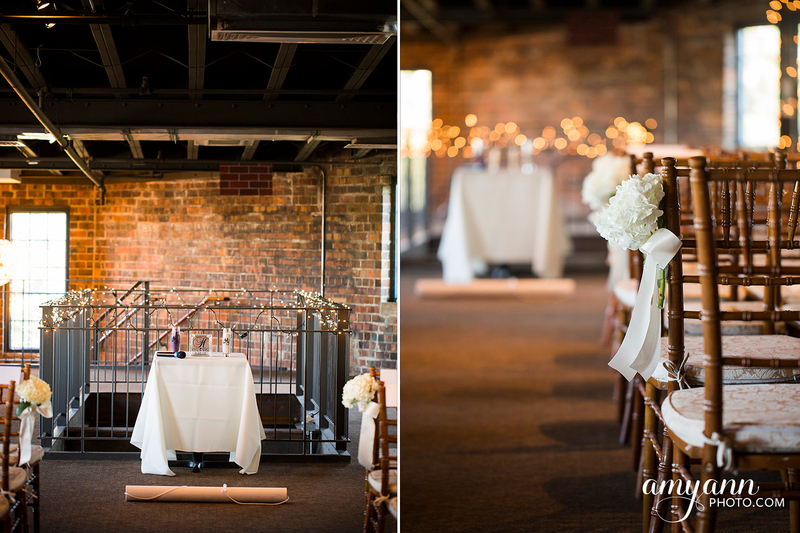 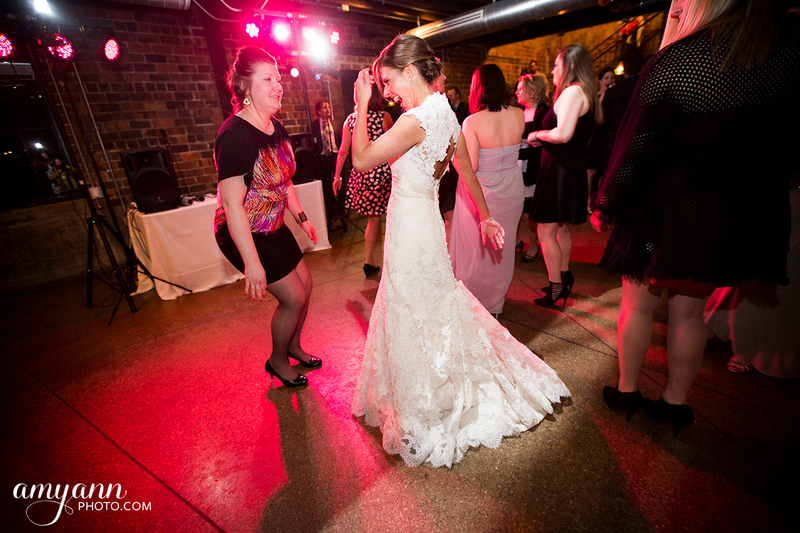 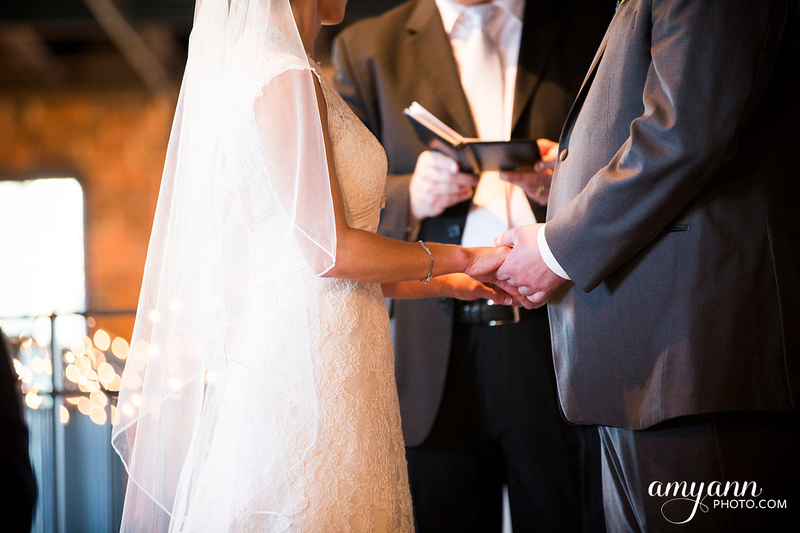 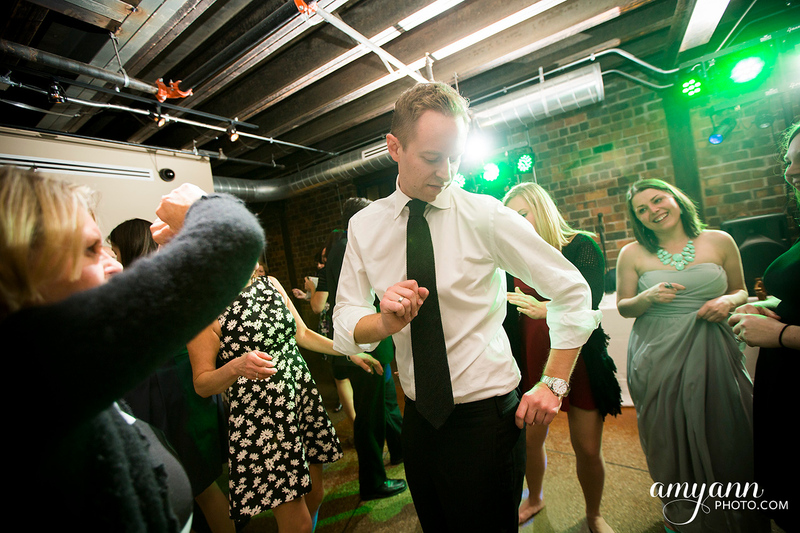 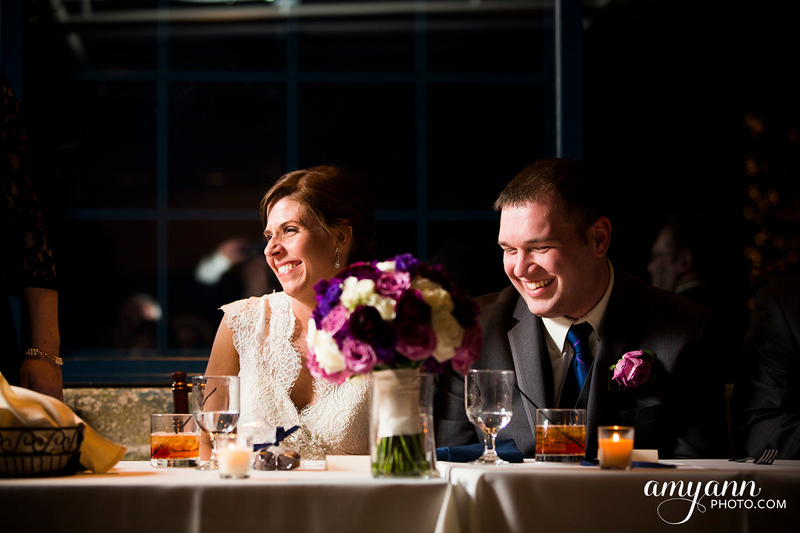 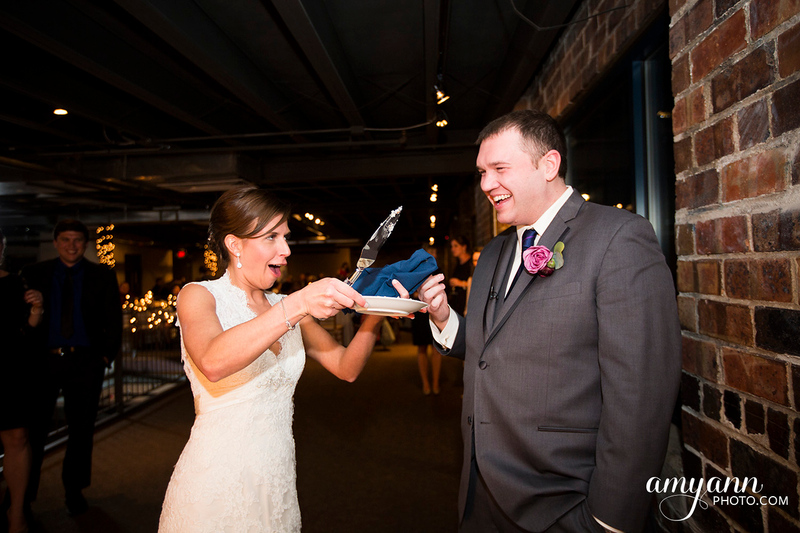 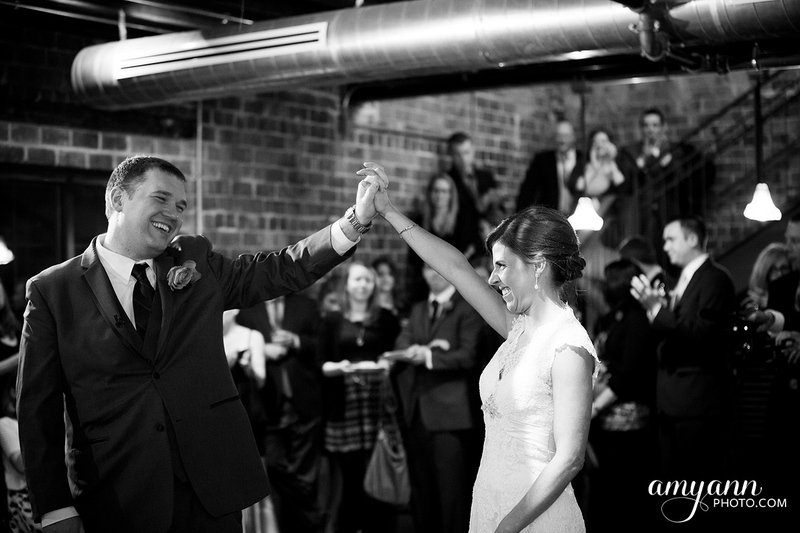 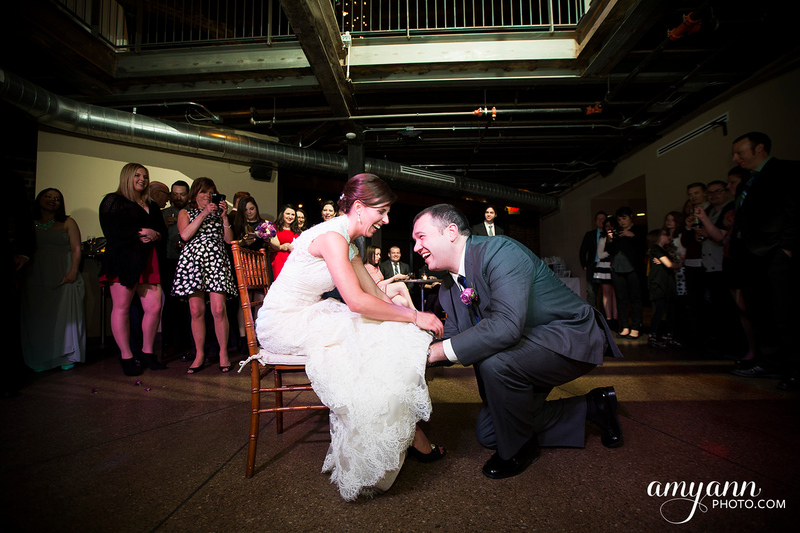 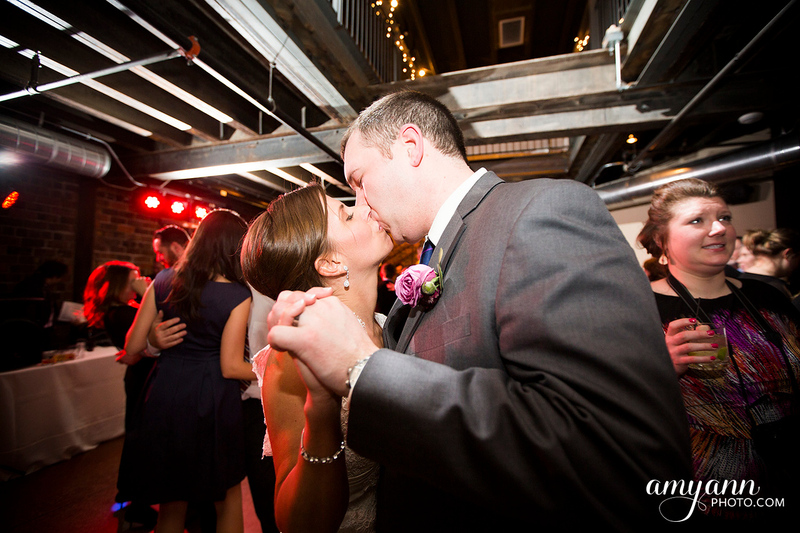 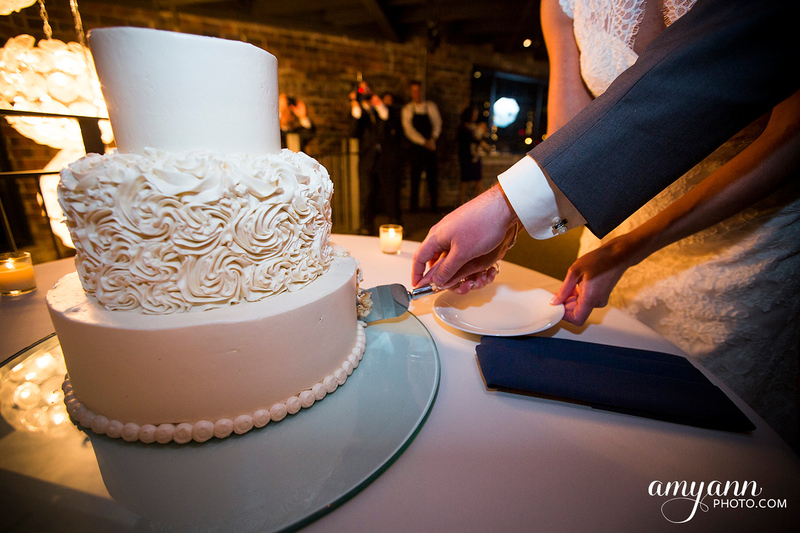 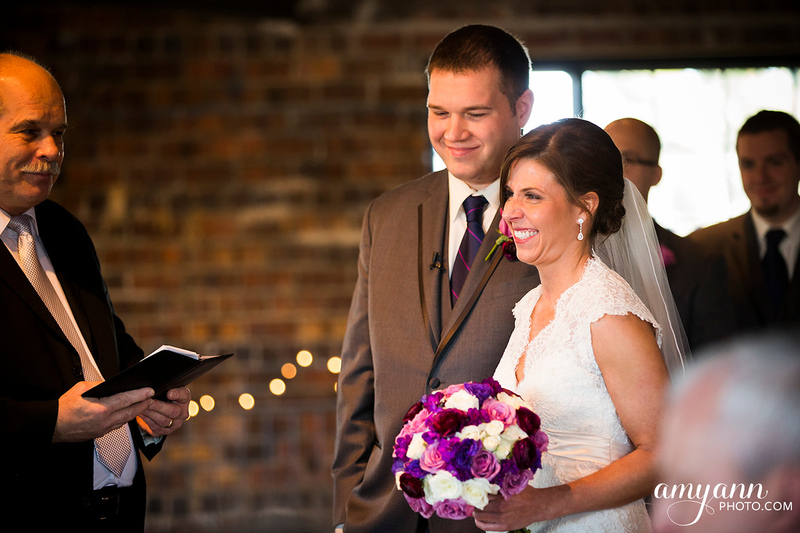 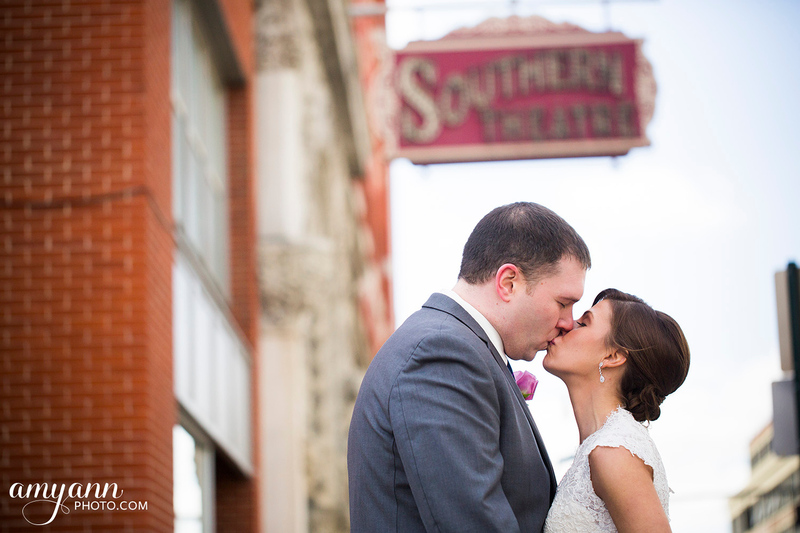 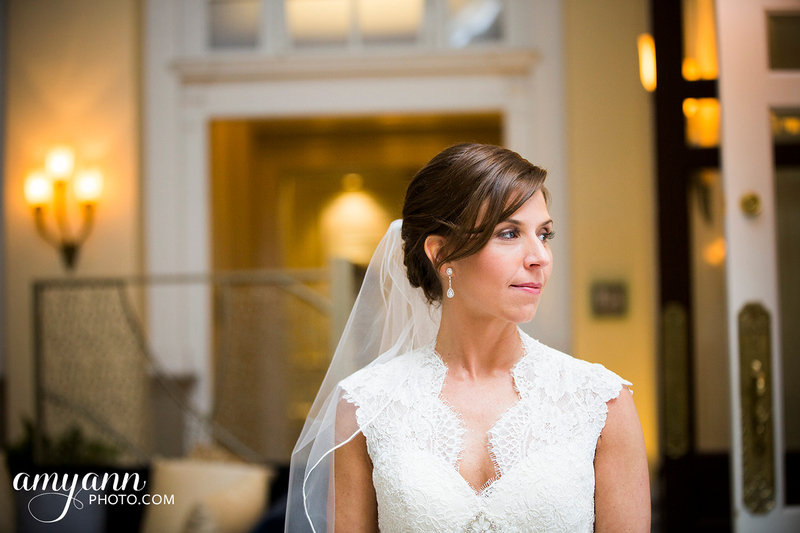 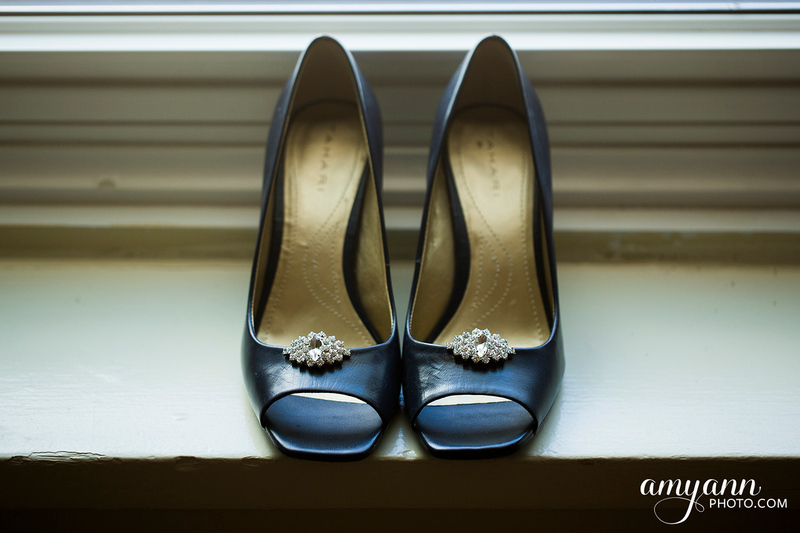 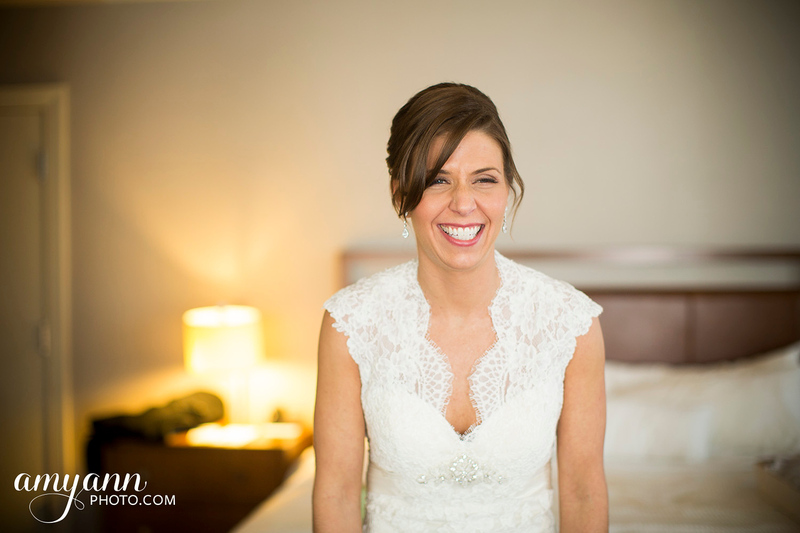 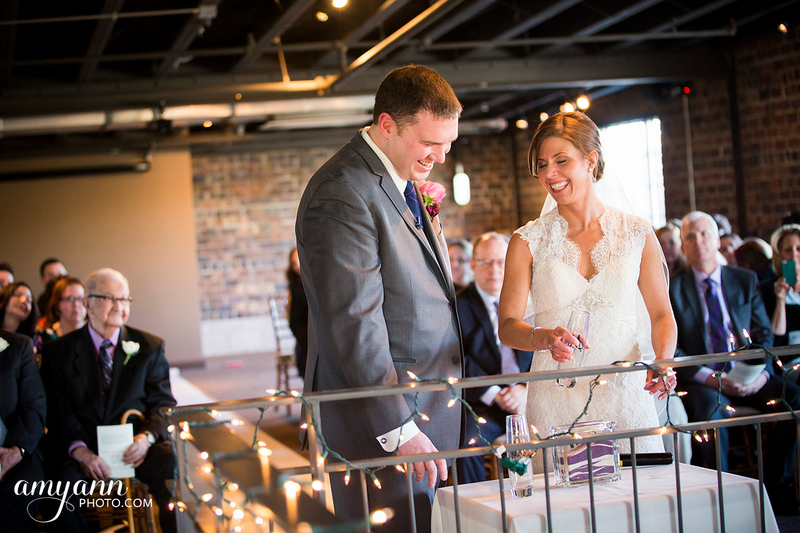 Sara + Nate had a downtown Columbus wedding that started with a First Look at the Westin, portraits all over downtown Columbus, culminating with a ceremony and celebration at the Loft at Dock580! 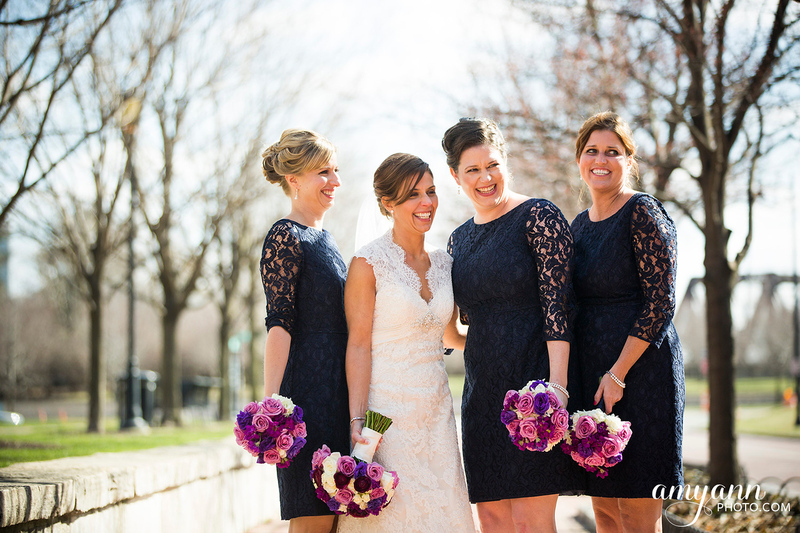 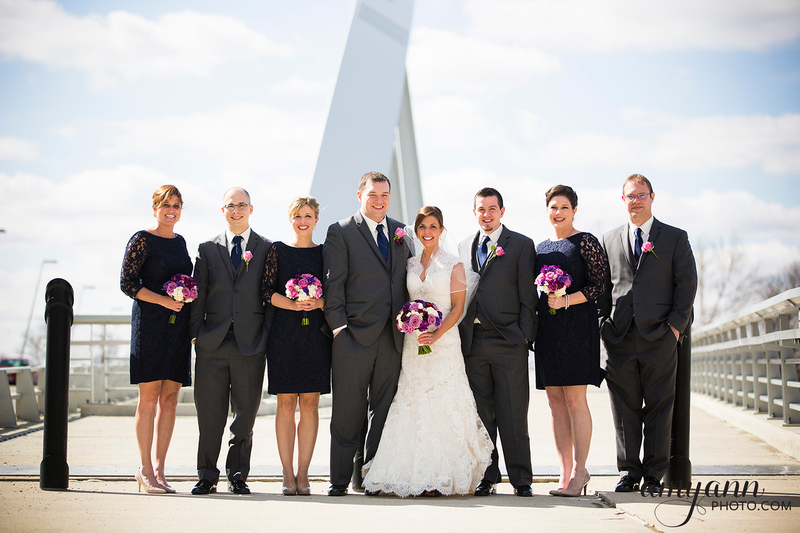 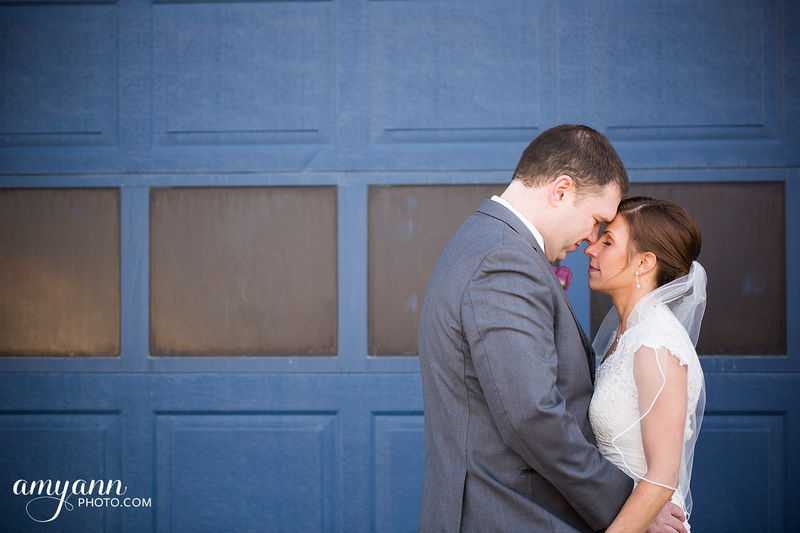 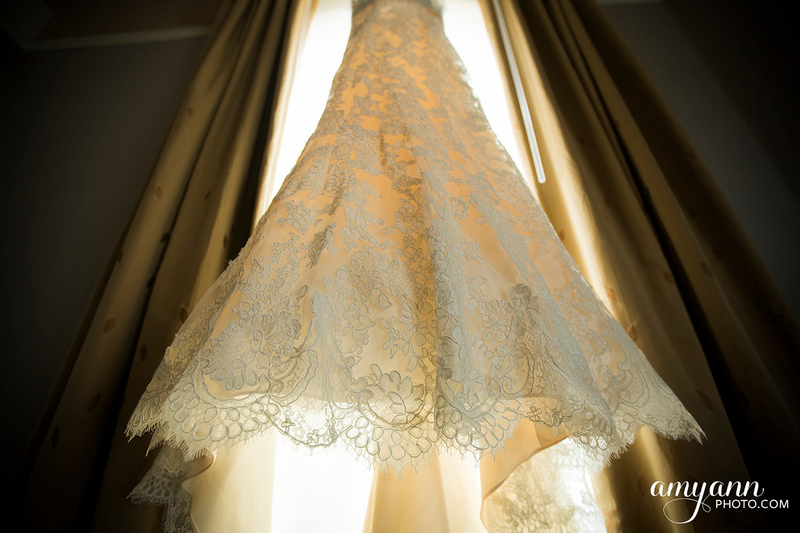 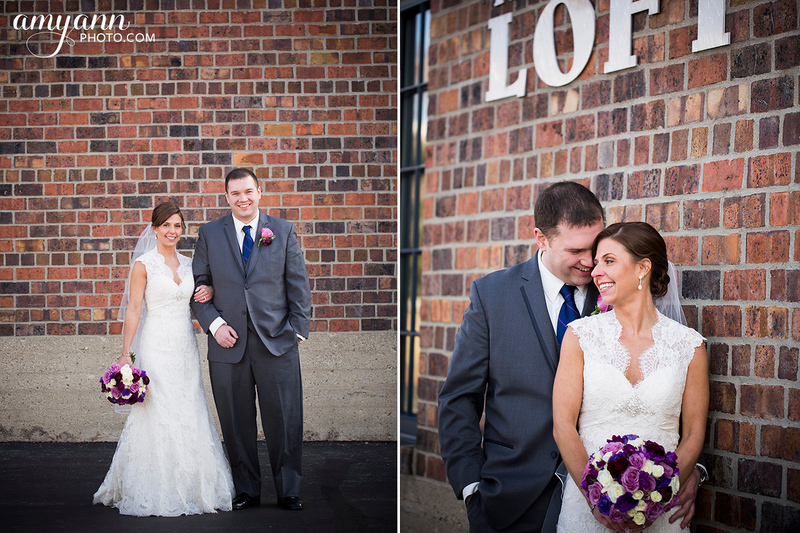 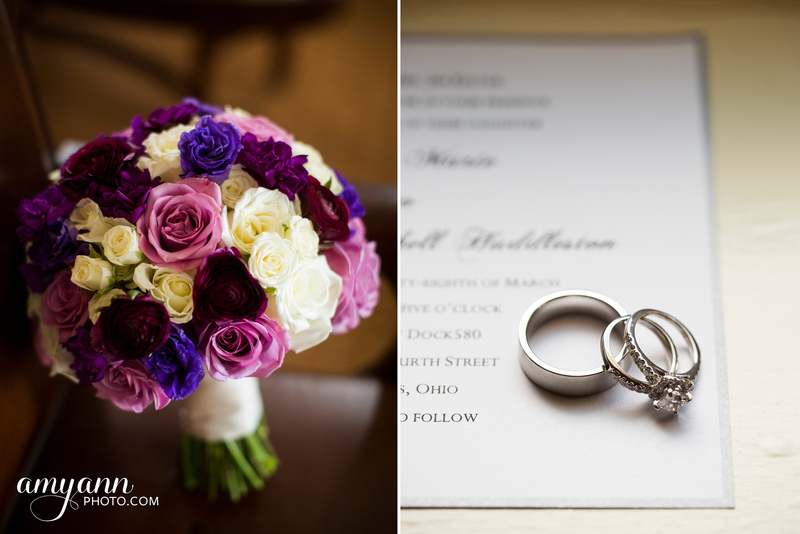 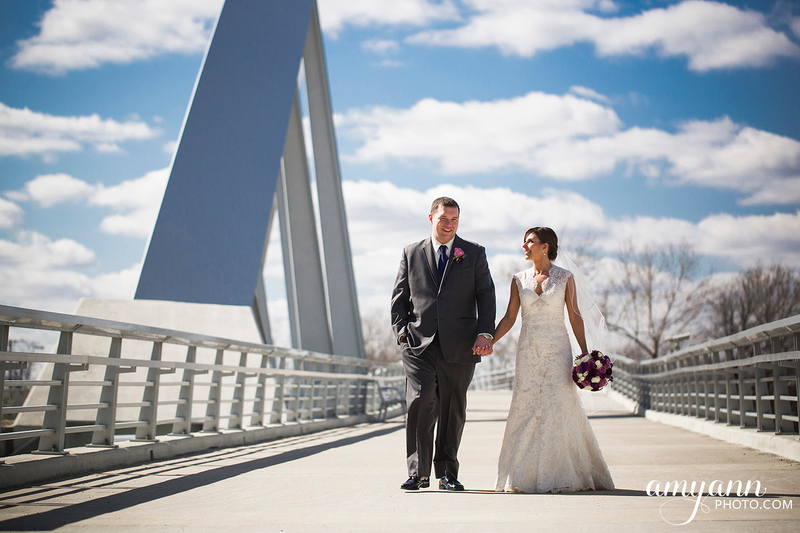 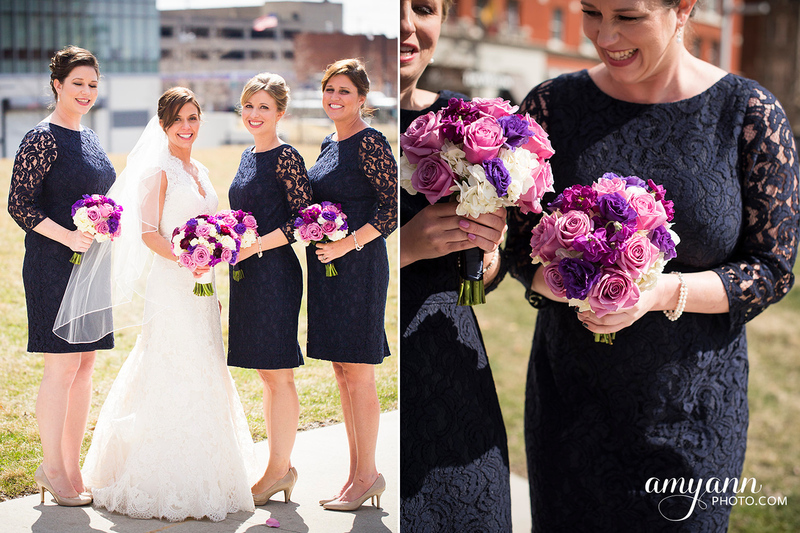 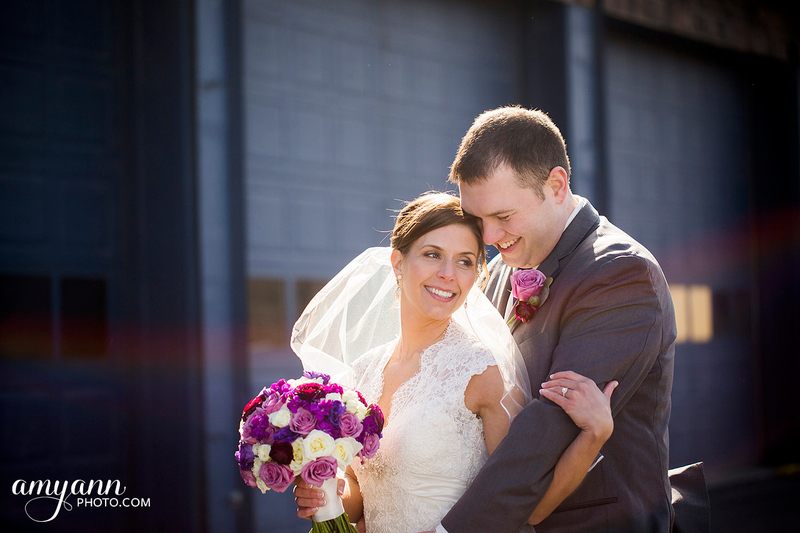 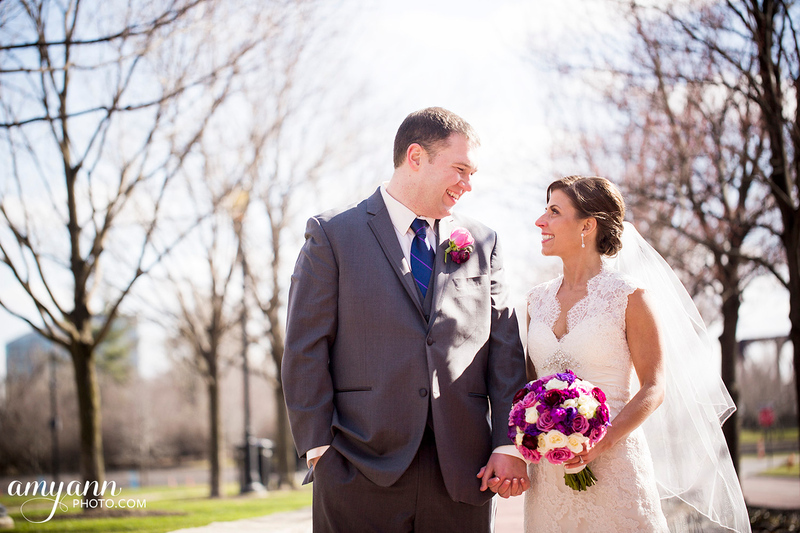 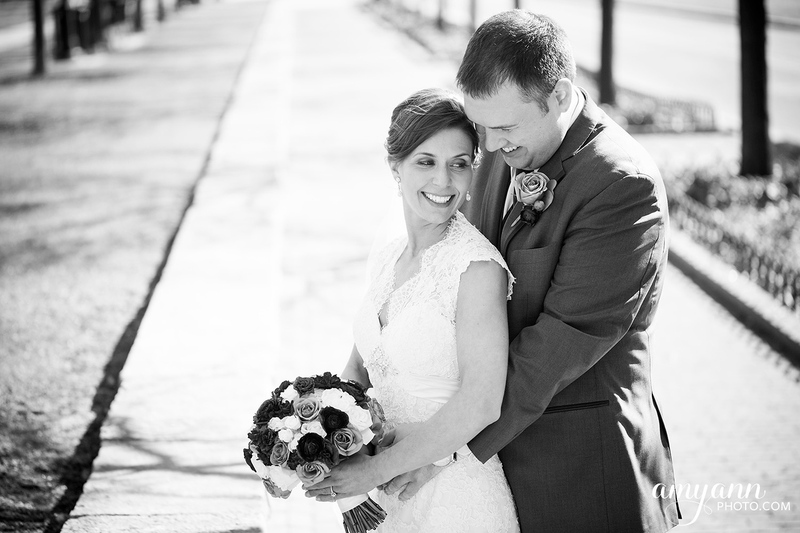 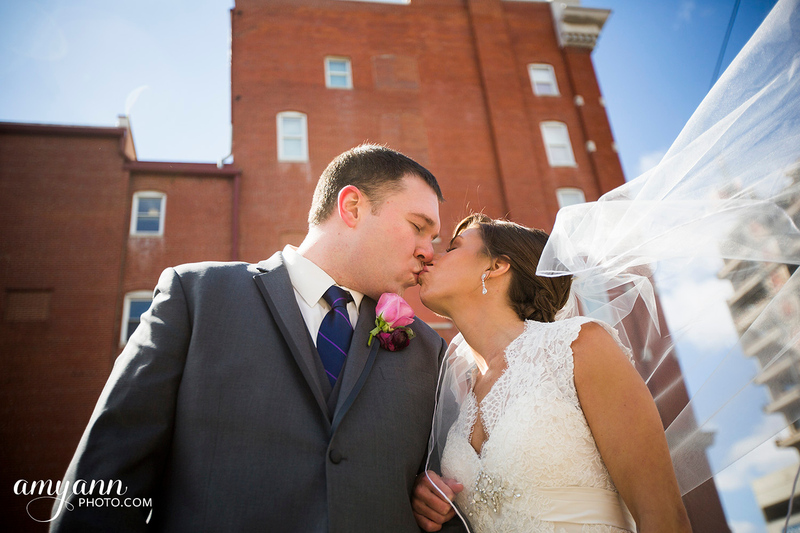 It was an unusually cool but very sunny day in late March, but Sara and Nate toughed it out for some beautiful pictures! 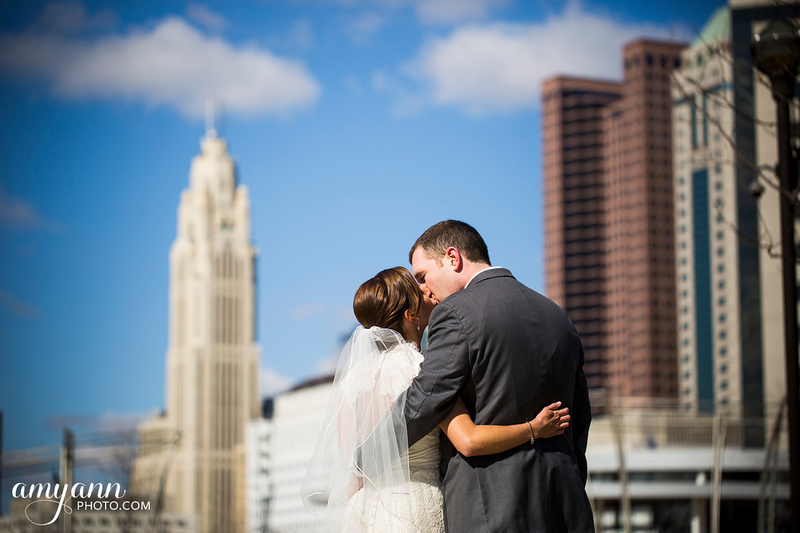 We started our day at the Westin hotel in downtown Columbus. 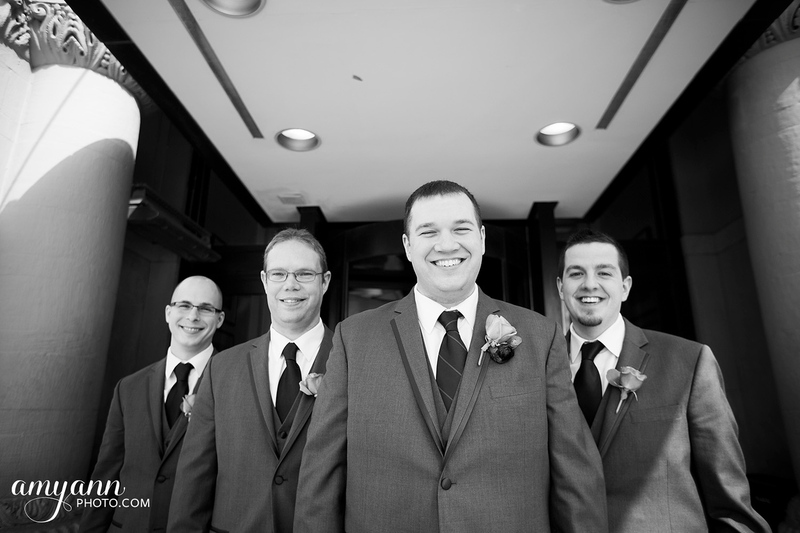 The guys met us there just as the girls finished getting dressed, and I snapped a few detail shots. 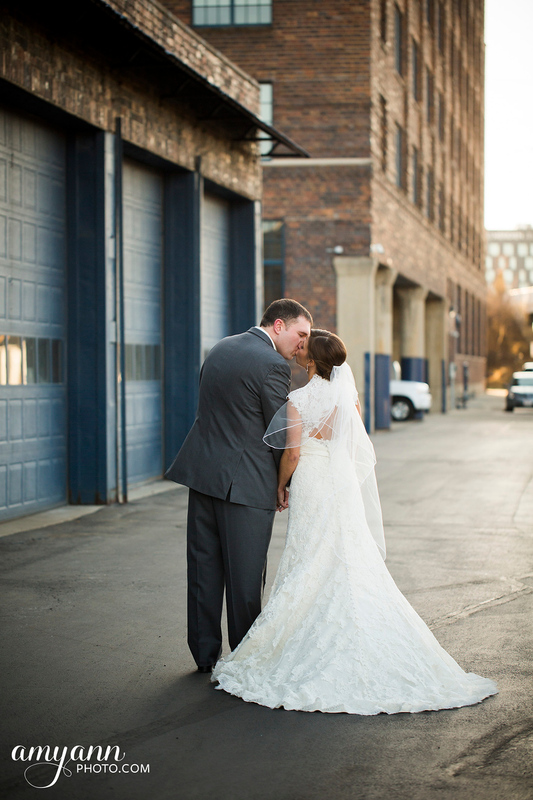 We staged the first look in an alley behind the hotel, and we took advantage of the time alone to do some fun portraits with the veil in the wind! 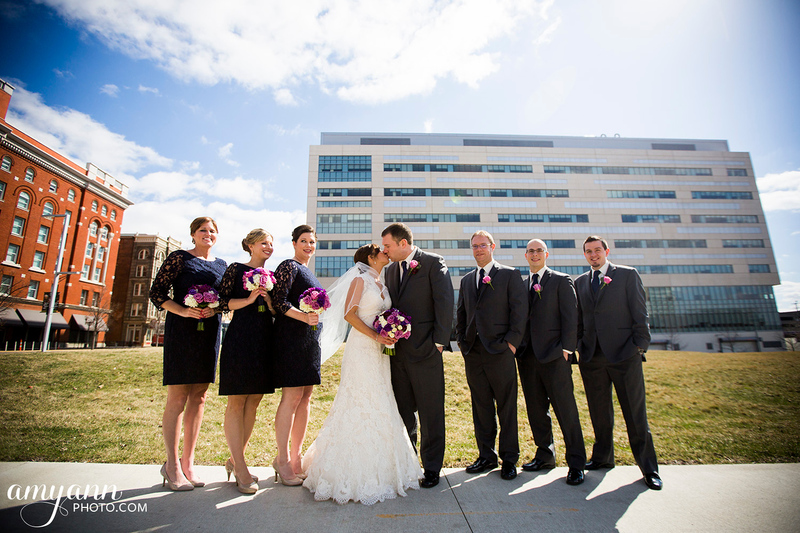 We then invited the wedding party to join us, and we shot portraits across the street by the Courthouse, before traveling to the Scioto Mile and Arch Park. 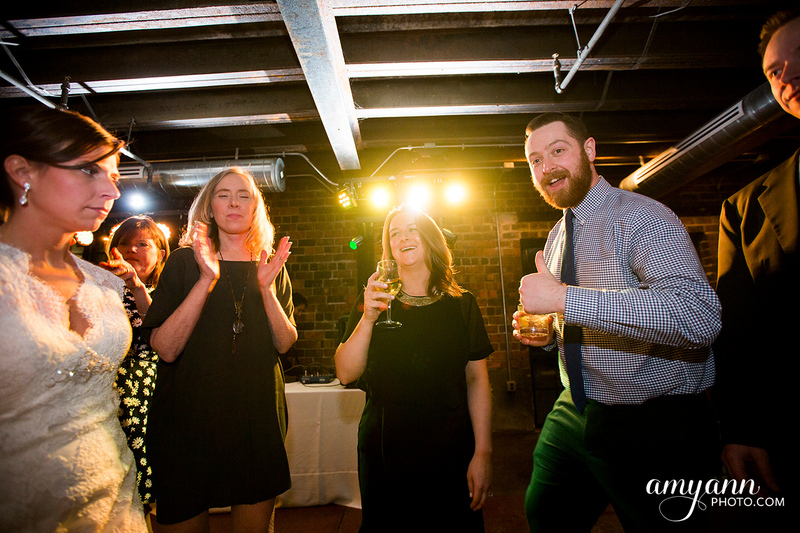 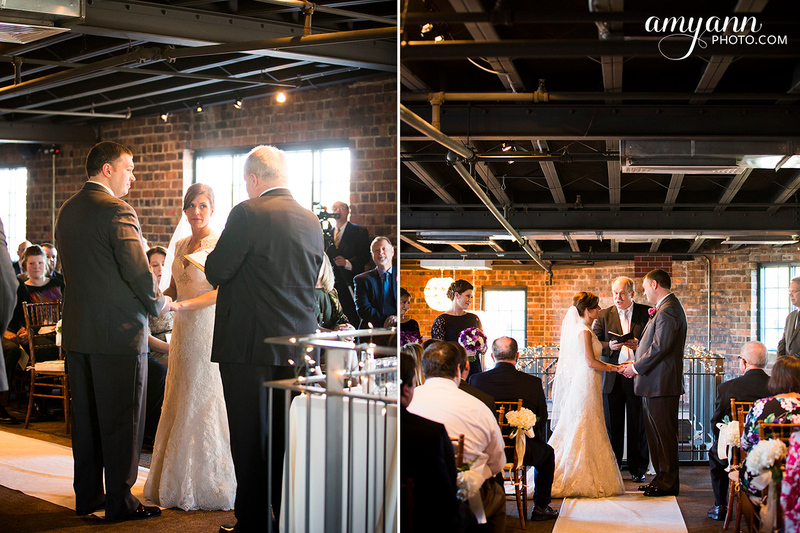 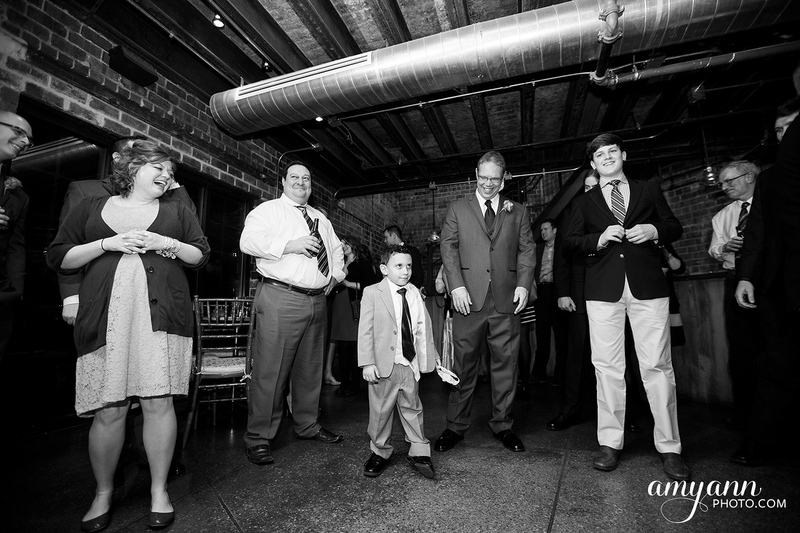 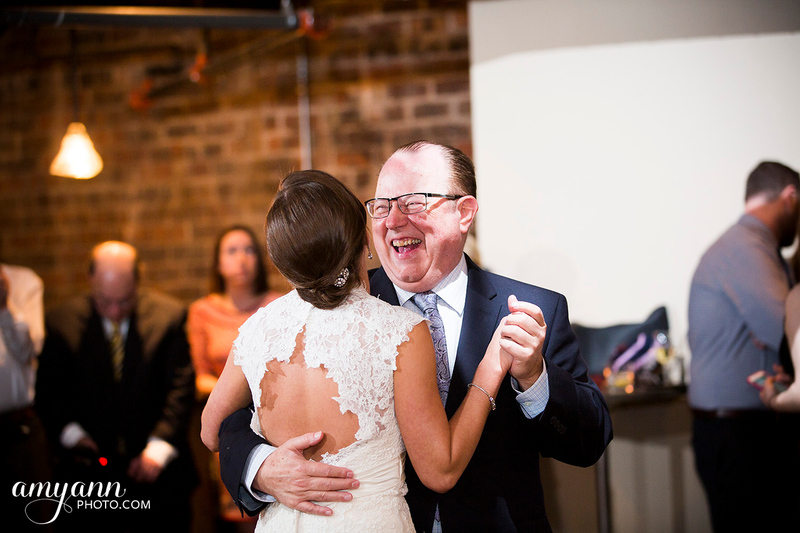 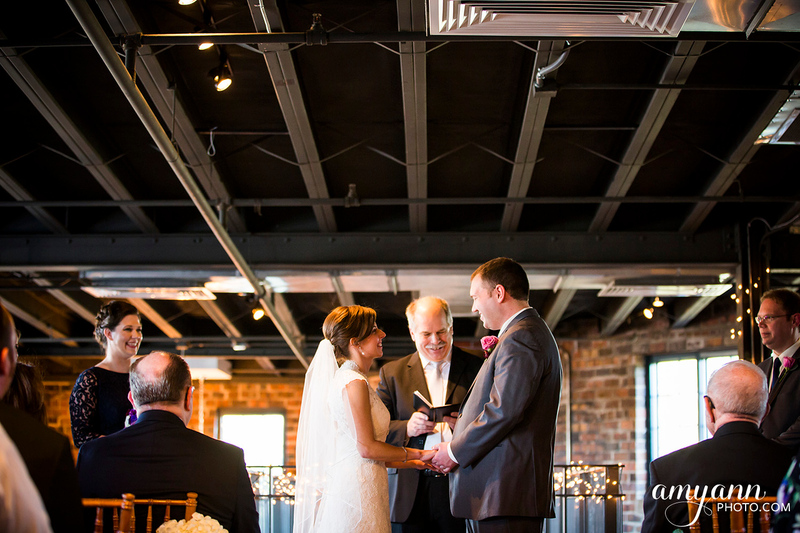 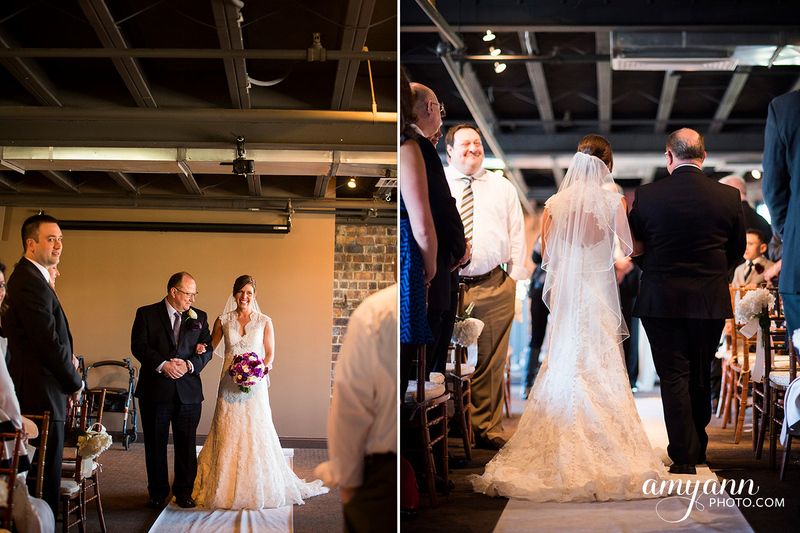 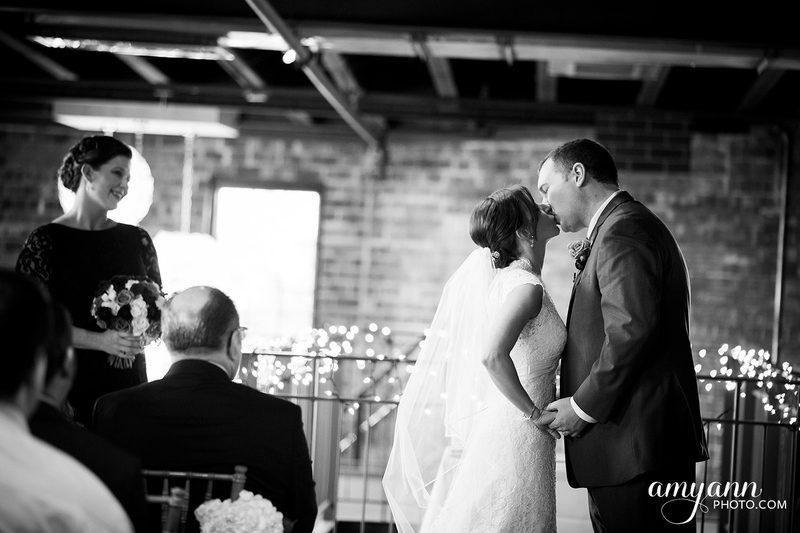 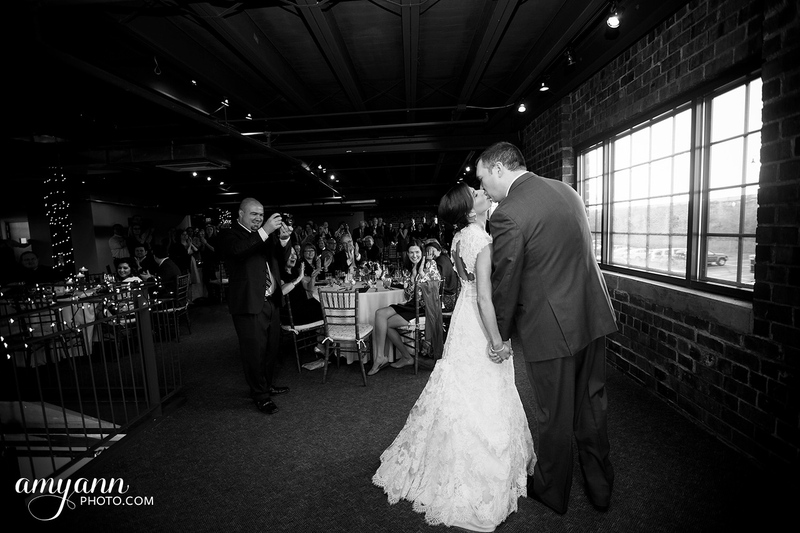 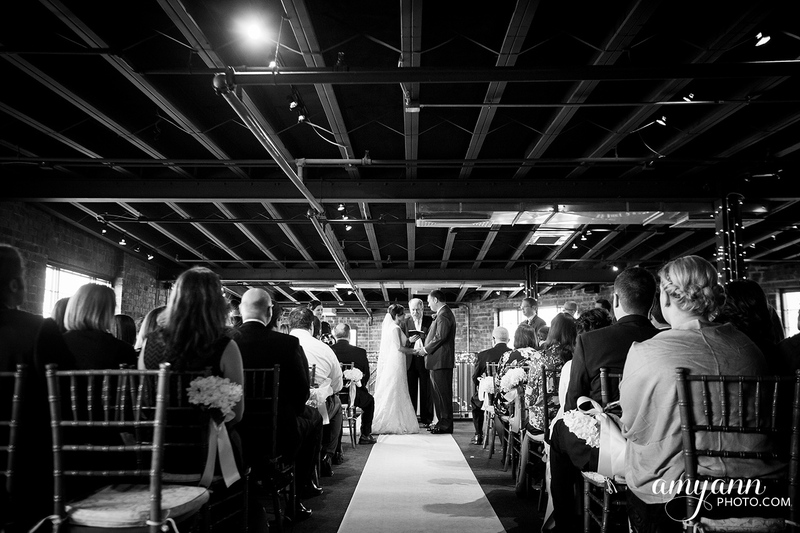 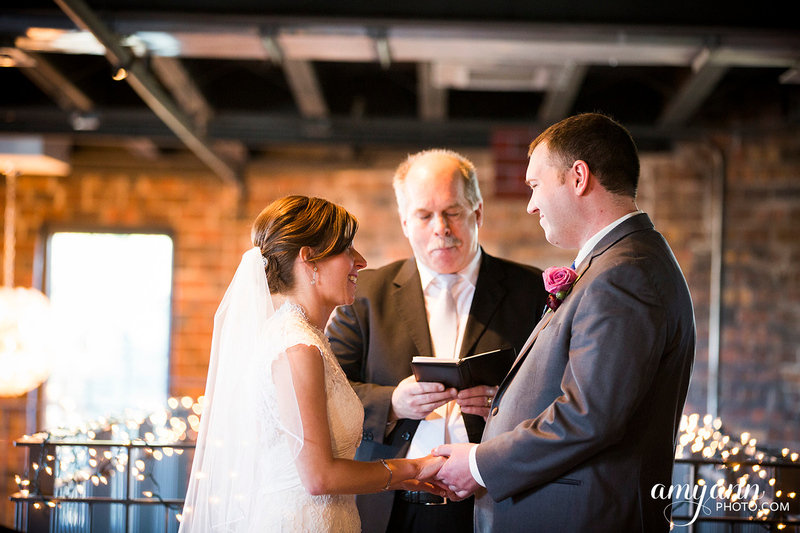 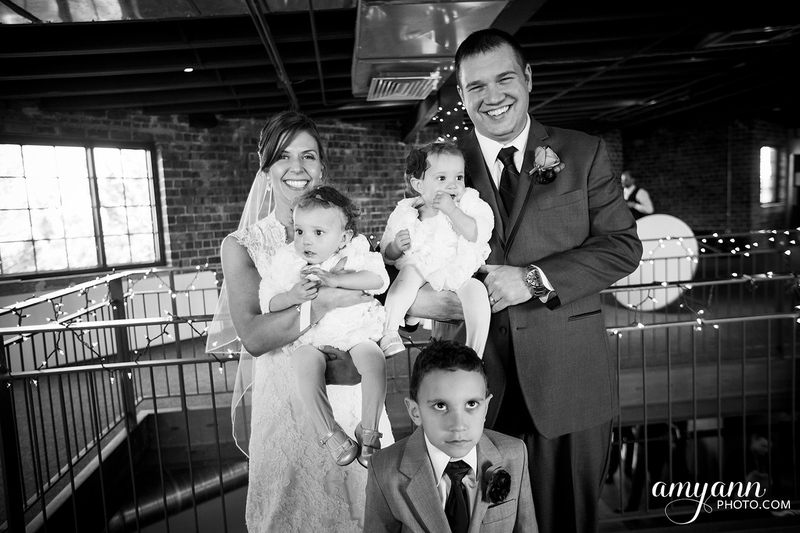 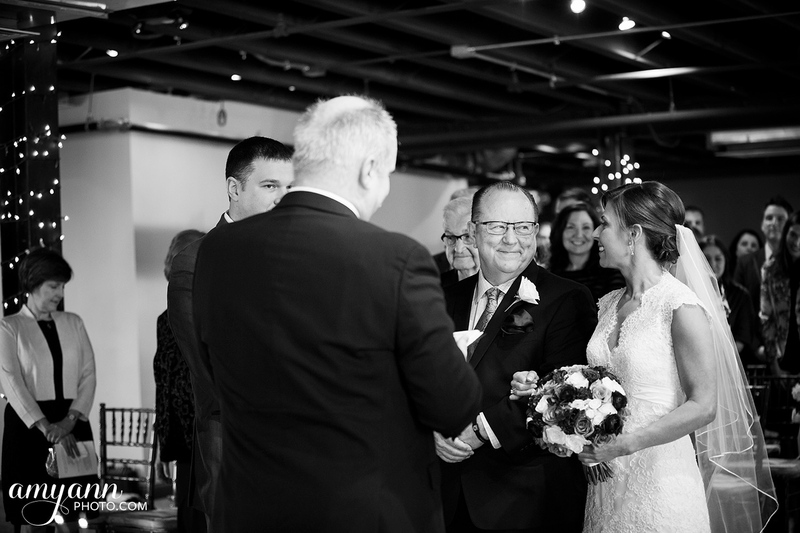 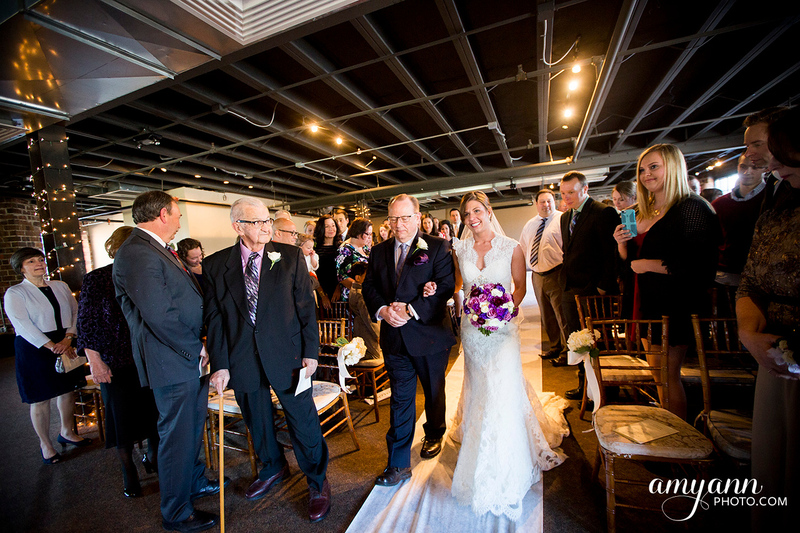 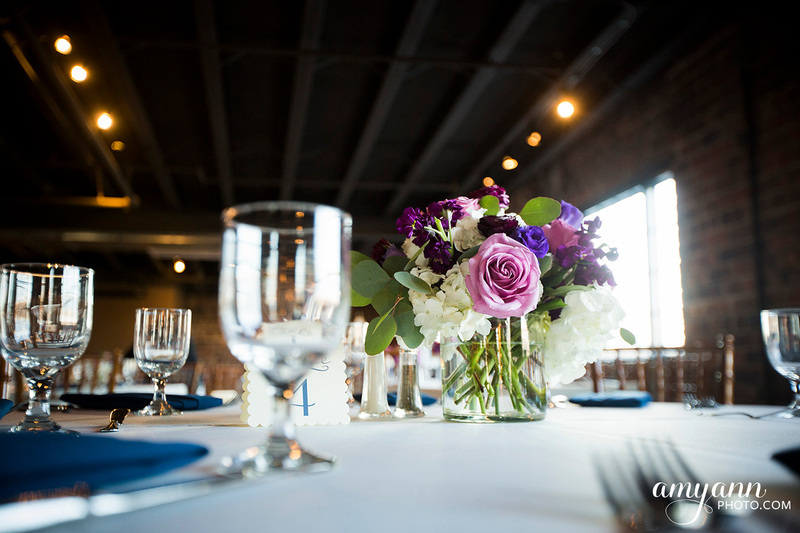 We ended our portraits at their wedding venue, the Loft at Dock580, where family and friends joined them for a sweet ceremony and a beautiful celebration! 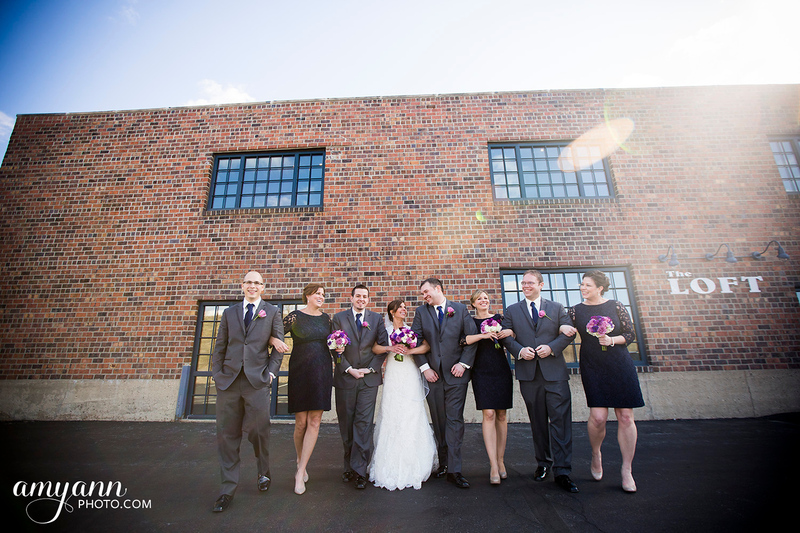 And as the day went on, we had some amazing light to work with for portraits! 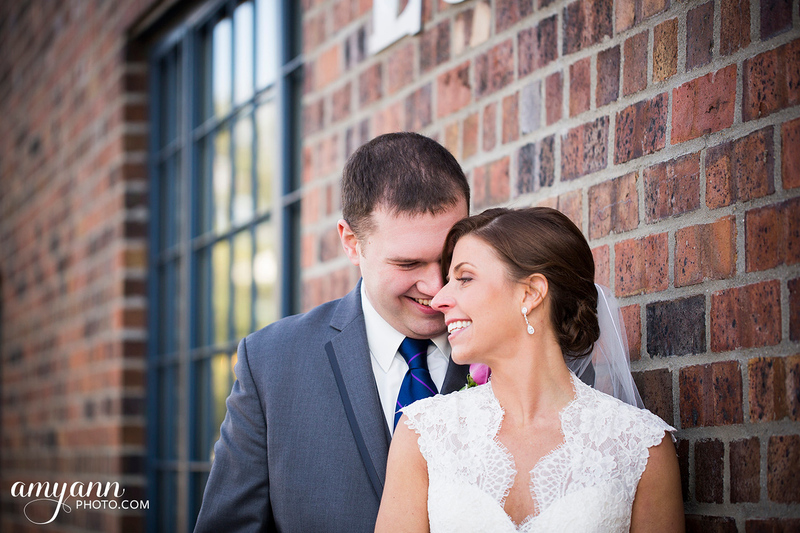 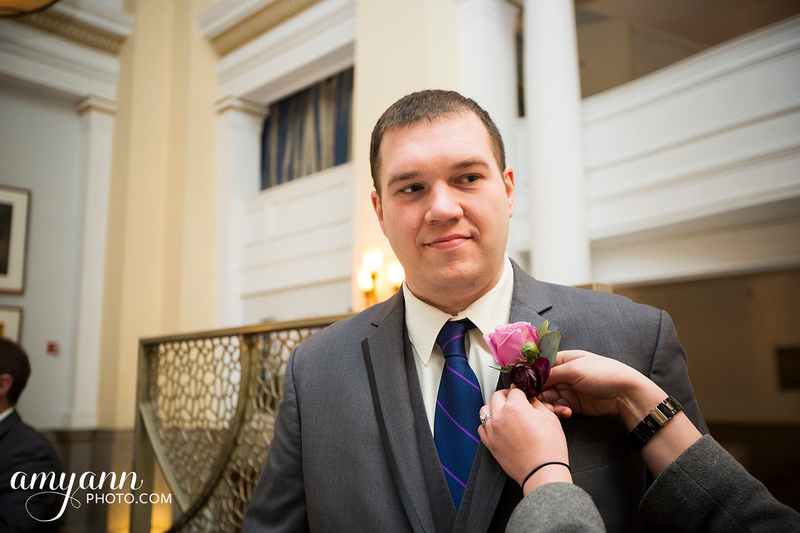 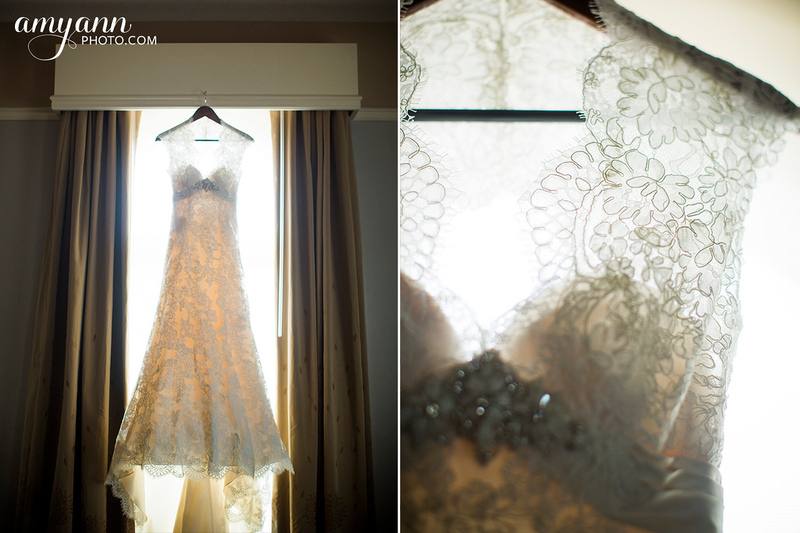 Congratulations, Sara and Nate, and thank you for having me be a part of your day!